ocks, not the most exciting of garments to talk about admittedly but at the same time, is there any other type of clothing that can be as annoying when they are of a very poor quality? Other than briefs that are far too tight around the groin area, we cannot think of many! How many pairs of socks have you owned that have grown holes within a few wears? How many times have your supposedly good quality dress socks fallen down while wearing them? And the sweat, why do low-quality socks make your feet sweat so much? The problem is that as much as socks can be annoying, we still need to wear them unless we want our shoes to take the brunt of the damage and for us to look extremely silly when we sit down. The good news is that while there are some pretty shocking attempts at sock wear out there, there are some shining lights as well. We have tested more than 100 pairs of socks extensively and have sometimes even smelt them afterward to determine which are the best men’s dress socks in 2019. All of these have passed the appearance, wear and smell test, so you can rest assured we have your sock wear locked down and tuned up! Generally, we’ve been quite impressed, no not with the smells, but with the quality of socks that are around this year. In true X-Factor style, we had to whittle that 100 pairs down to our favorite 17 and those that you’ll see on our list below are those that have made the cut. Some others did come close and might have lost out to the poor foot hygiene of some of our testers but that is something way out of our control. So what are you waiting for? Come and check out the very best dress socks for men that you’ll find in 2019! What are the main benefits of wearing dress socks? Other than to keep your tootsies warm and snug? Well, dress socks are basically the PC way of saying posh socks for formal wear that barely get seen underneath the suits that are worn above. As for the benefits, well they keep you warm, are comfortable, and make you look a tiny bit smarter than you would do if you were not to wear them. 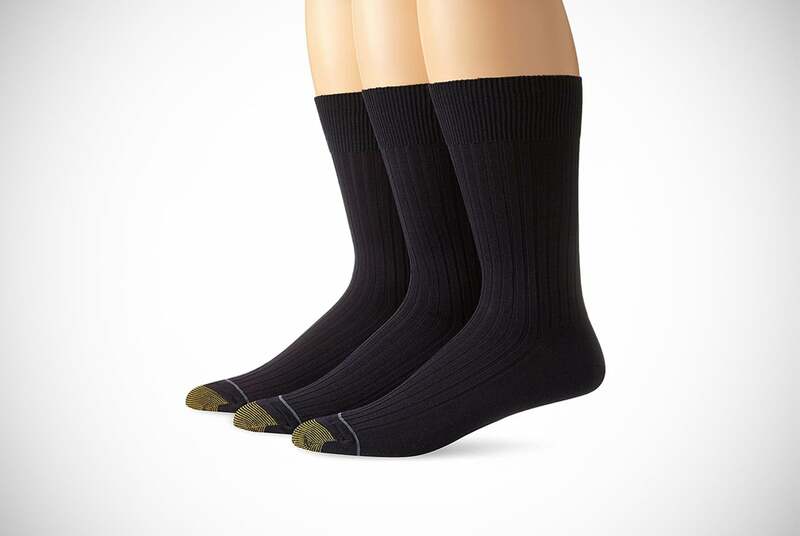 Well made dress socks will also keep your feet from sweating too much by keeping them dry, will let your legs and feet breathe better, and will generally hide the smell of your smelly feet until your shoes are removed. Seriously though, if you unable to see what the benefits of wearing any socks are, you should perhaps start wearing some so that you do. Difference between dress socks and regular socks? As mentioned above, dress socks are designed to be worn when wearing formal or at the least smart casual wear. They are usually at least calf high while you will even find some that are mens over the calf dress socks which look almost like women’s stockings. Regular socks, on the other hand, will be the normal everyday socks that you will wear. Dress socks are designed to be smart to match the smarter attire that you’re wearing while also providing you with good levels of comfort, support, and breathability at the same time. While dress socks in the main are very conservative in terms and style, you will still find some that will let eccentric personalities act a little rebellious by providing them with some bright and bold designed dress socks that they can hide underneath their boring suits. You know who you are! What material are dress socks usually made of? There are actually numerous materials that dress socks can be made of and for those of you that really do wonder what type of material it is that is keeping your little piggies warm, it could be cotton, wool, nylon, spandex or a range of other materials. Manufacturers will choose materials that are either better suited at keeping your feet warm, giving them support, or keeping them from getting too sweaty. Others will choose materials that are easier to clean as well. Other materials include that of bamboo-type materials that are normally found in socks specifically designed for people that need more comfortable socks rather than purely desire them. This includes people that often have swollen ankles or feet, suffer from excessive sweating, diabetes or other conditions where comfort and care of the feet are paramount. Often overlooked, a comfortable sock can be the difference between a few hours of shuffling, sweating, slipping awkwardness or stylish, warm, supportive sock wear that can be a pleasure to wear. Are dress socks usually comfortable? They should be or you should be buying some that are. That being said, comfort is not always the most important consideration when people buy dress socks. Style, design, washability, durability, and many other considerations are made as well. That said, we personally feel that comfort should be one of the main reasons why you buy socks, especially if you’re going to be wearing them all day long. Wearing thin material for 8 hours is only going to be a distraction – cold, damp, sweaty feet do nothing to help you with your focus! When we say comfort, we do not just mean that they feel comfortable when you put them on either. They should keep your comfortable throughout the day by keeping them dry, letting them breathe and most importantly, releasing them as much as possible from all that smelly sweat build up between our toes! Did you know that Calvin Klein actually manufacture clothing items where you are not meant to display their brand name out from under your jeans? I know, crazy right? Who would have thought that underpants don’t have to be on display! Seriously though, as far as dress socks go, these are right up there. 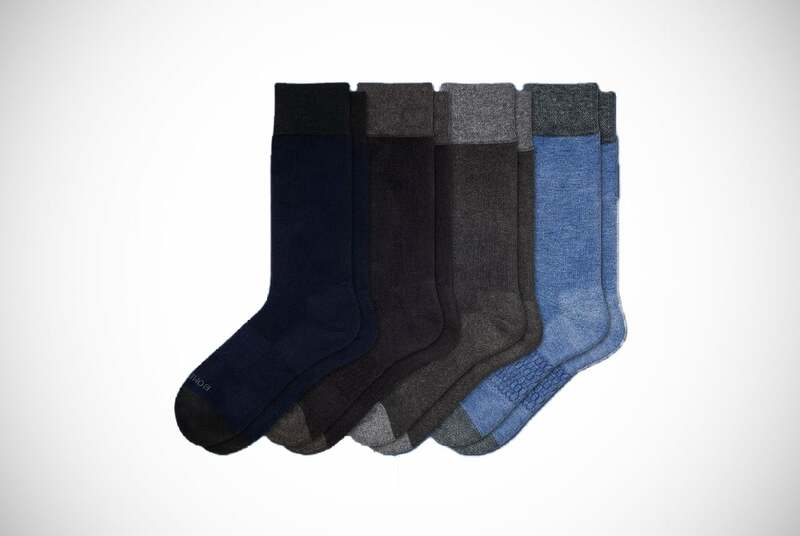 Made from cotton these socks are available in a range of different colors, are known for being very comfortable, have a great fit, and are machine washable to boot. The fit, in particular, is what we like as the 2% lycra spandex in the material really improves the stretch. 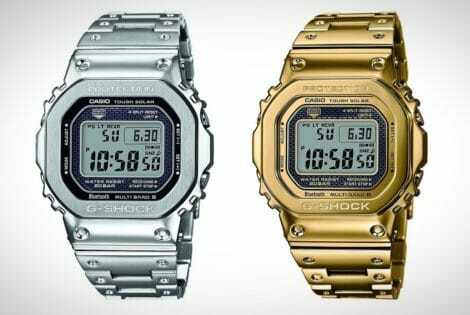 These are quite expensive compared to others but you have to remember that you are paying for the quality that Calvin Klein is renowned for. Simply put, if you are looking for durable but comfortable socks to go with your suit, these are certainly one of the better options. The seamless toe ensures no annoying rubbing feeling that you just can’t fix. 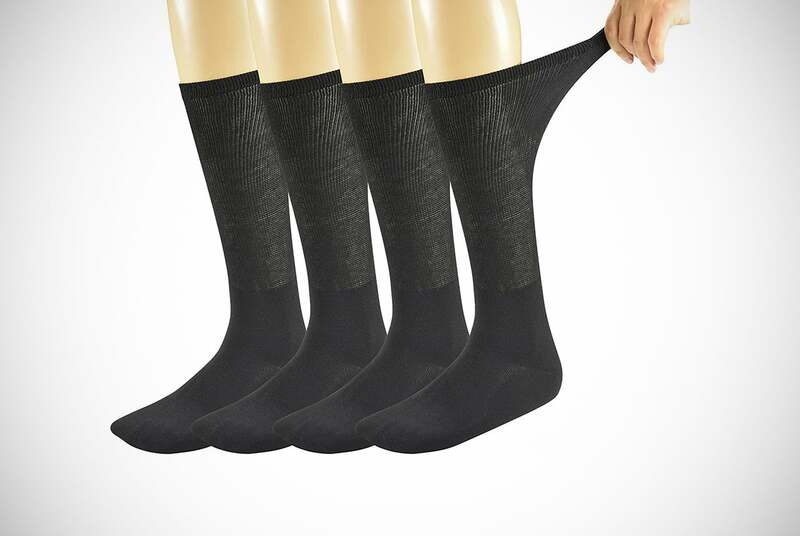 Technically a dress sock is not meant to be seen while at the same time they are there to prevent the potential for a man’s naked hairy leg to be seen. We know, this is quite an old and conservative thing but we are just spouting the facts here. Well, we have moved on in some ways in modern times and so have dress socks which are now moving away from just being bland dark colors. 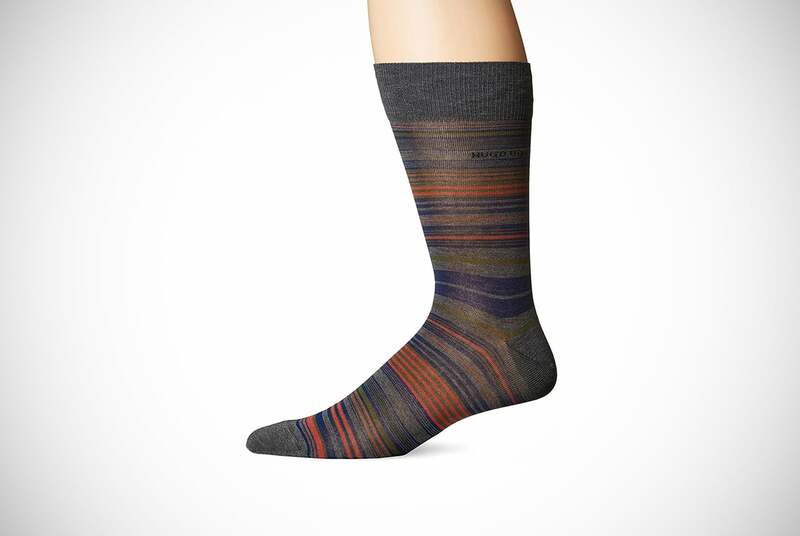 The Boss Hugo Boss Multistripe Mens Dress Socks is a good example of this as they are available in three different multistriped designs that look and feel great. Stylish without being overly bold, these socks are primarily made from mercerized cotton, have a reinforced heel, and will look great under the suit of your choosing. They might be a little more expensive than some of the others on our list but when you’re buying from the likes of Hugo Boss, you know you’re going to be getting top quality. These are giving you style and comfort at the same time – it would be awesome if Hugo Boss could diversity the variations on offer though. 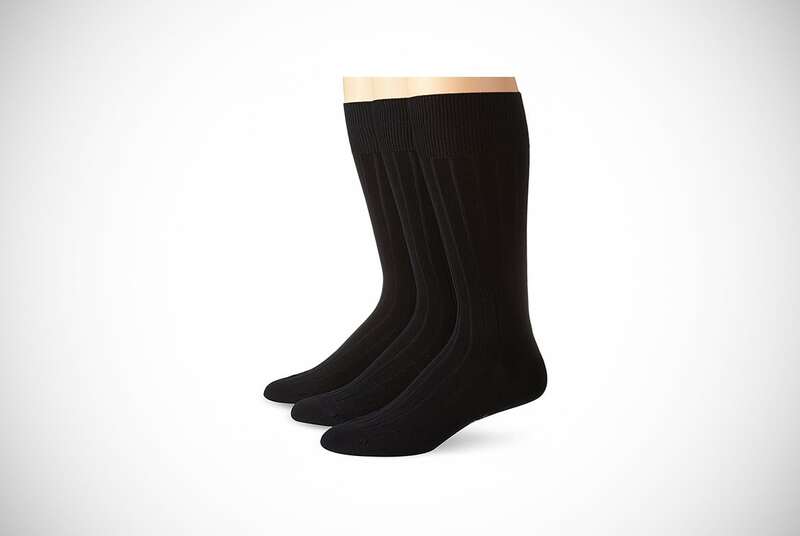 Good quality socks do not have to come with a top-end fashion name such as Calvin Klein and Hugo Boss and the GoldToe Premium Men’s Canterbury Dress Socks go some way to proving this. Coming in at the lowest price of our recommended dress socks so far, these are made of a combination of cotton, stretch nylon, and spandex which all give an end result of comfort and a perfect fit. As for the features of these socks, they utilize AquaFX Moisture Control which keeps your feet nice and dry and a reinforced toe and heel that just enhances their overall comfort levels. You’ll also have a nice choice in terms of colors with everything from your standard dark colors right down to tan and khaki. Combined with their excellent value for money, you can’t go far wrong with these comfortable socks. Just be aware that over time they can drop. Like GoldToe socks but are not overly keen on these ones? Then carry on reading as we have some more from these guys coming up a little later on in our list. Dockers are another brand that is well known for creating extremely comfortable and durable dress socks for men and their Flat Knit Crew Socks are among their most popular with customers. How many times have you bought dress socks only to find holes in them after just a few times wearing them? With Dockers, you just know that you are getting a quality-made product that lasts as well as being a good fit and comfortable. There’s nothing worse than feeling that toe starting to poke out at midday when you are still five hours from the finish line! 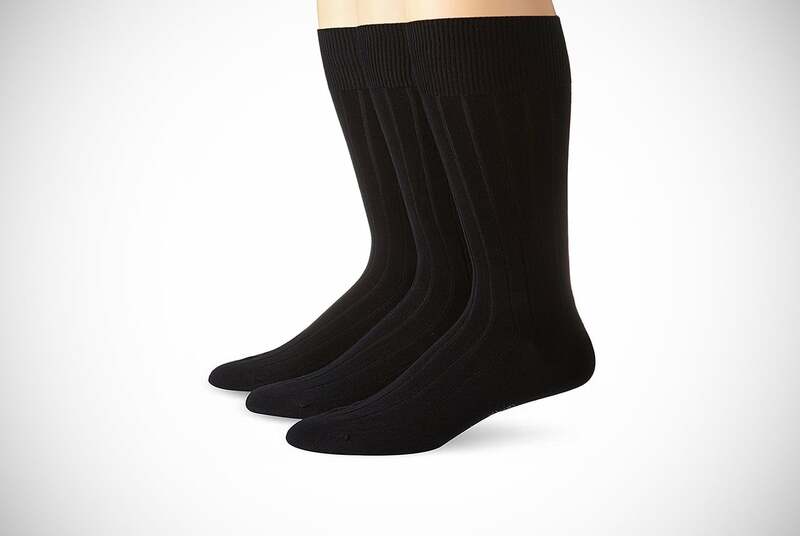 These socks are made of a good combination of polyester, cotton, and spandex which ensures a snug fit that contours to your foot and leg and rarely drops. These are not quite as stylish as men’s designer dress socks but are more than good enough to be used under your suit at work. In fact, we recommend you buy a few of them so that you have more than enough to last you through the week – turning them inside out is not going to work in this scenario! A few more color options would have been great from Dockers on these. Quality dress socks do not have to come with a world-renowned brand name as who in the hell is even going to know that you are wearing Armani socks in the first place (unless the next fashion trend is to tuck trousers into branded socks – and we hope that’s not coming anytime soon)? 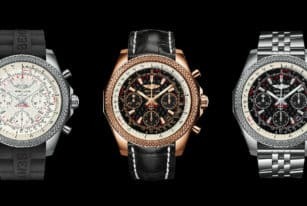 However, while leading brand names are more expensive, they do usually offer far more quality in terms of design and quality. With Goodthreads patterned socks you are still getting decent quality and designs that are, well eye-catching to say the least. 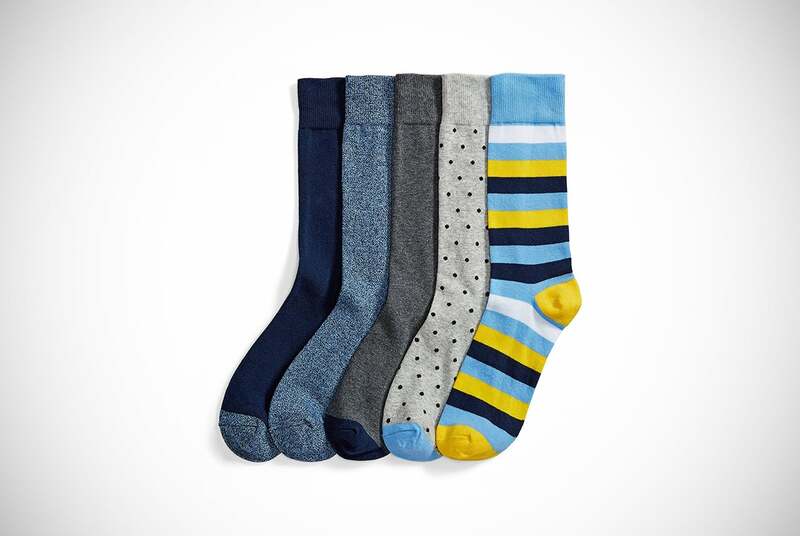 From colorful stripes, polka dots, and even animals these comfortable dress socks have certainly been designed for the bravest of men out there. They are machine washable, have a nice fit, and have reinforced heels and toes as well as ribbed cuffs to enhance an already high level of comfort. Sold in packs of five at a great price, these are certainly some of the best men’s dress socks for those of you that like to save a bit of money in the sock department. They have been reported to be a bit on the thin side, so you would need to decide if these are the socks you are looking for. This is the second Dockers dress sock to make our list and much like the first, these are a great option to have when wearing your smart attire. With a stylish design that is not too bold, the Dockers Argyle Dress Socks would be an ideal sock to wear to work, weddings or any formal get together. As for the quality of the socks, they are made from a good cotton and polyester blend that makes them extremely breathable and they have a number of comfort features that allow them to stand out from their competitors. These include being non-binding which means there is no elastic band at the top which can prevent circulation and having what we call a Viagra non-slip feature which means you can be confident that they stay up at all times. Reportedly a little “over-snug”, make sure you check the shoe-size you need. Last but not least, Dockers is a brand that is known for delivering quality at an affordable price and this is once again the case with these cool men’s dress socks. Why not bring a bit of color into your daily get up by wearing some Easton Marlowe Classic Dress Socks underneath your smart suit? At a great price considering you get six pairs per pack, these colorful/patterned were designed and manufactured in Europe and therefore consist of a very good quality in terms of comfort and design. Made from the finest cotton, these dress socks are soft, fit exceptionally well and are even pre-washed before putting on sale so to prevent any future shrinkage. Eaton Marlowe may not be the biggest name in sock making but if these socks are anything to go by, they certainly have a bright future. The fashionable designs that are on offer from Easton Marlowe give you a chance to express your personality and personal sense of style. If colorful is your thang but you are not sold on these particular socks, keep reading as we have plenty more brightly colored socks coming your way. Ideal for the office joker or those of you with a more eccentric fashion sense, Marino has a range of men’s fun dress socks that are definitely worth checking out. Fun socks might be seen to be low quality usually but in the case of these ones, they actually fit very well, rarely drop, and are extremely durable. Comfort is another area where these wacky dress socks excel as they allow your feet to breathe but keep them nice and dry at the same time. As for the crazy designs themselves, make sure you’re wearing your best sunglasses when you open up your package as some of them are bright and colorful to say the least. 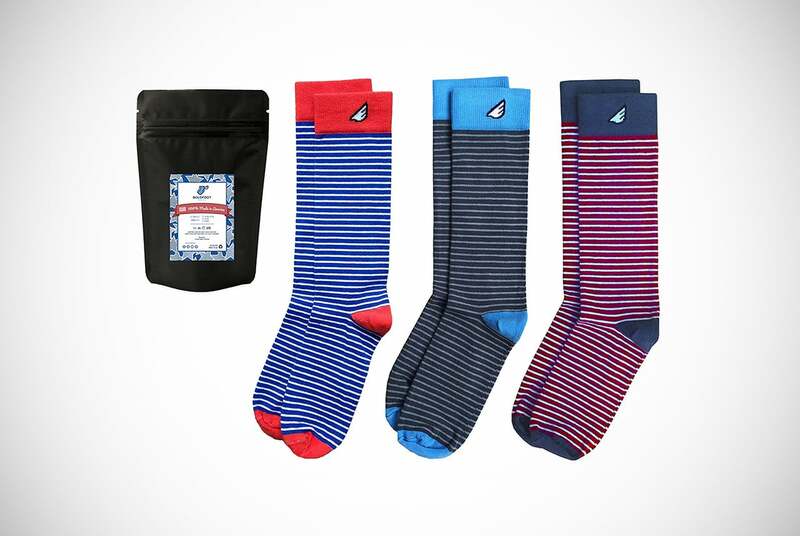 Coming in a 12-pack, you have a lot of options with these – that’s a few weeks of office colleagues wanting to see what socks you have on to stun them with! The comic designs are sure to help you make your stamp in the office! Did we mention that you also get a three-month warranty with these babies? This means if they are not quite as eccentric as you were hoping, you can just send them back! No matter who you are, once you have read the twin reasons why Bombas socks were founded you will instantly become a fan. Firstly, they wanted to bridge the gap between the cheapo multipacks of socks and the high-end men’s designer socks currently on the market by developing a superb quality sock that is more affordable. Secondly, they wanted to help the homeless with a shortage on the most requested item of clothing for homeless people. They address the second by donating a pair of their socks to the homeless for each pair that they sell. Amazing stuff we are sure you will agree. In fact, since their inception in 2013, Bombas has donated a close to 9 million pairs of socks. This could be a selling point on it’s own if you are wanting to help make a difference. As for the socks themselves, they are exceptional in our opinion. They are made from high-quality materials and make use of some fantastic technology such as a honeycomb arch support system, Y-stitched heel, sure-fit cut, and stay-up technology among others. 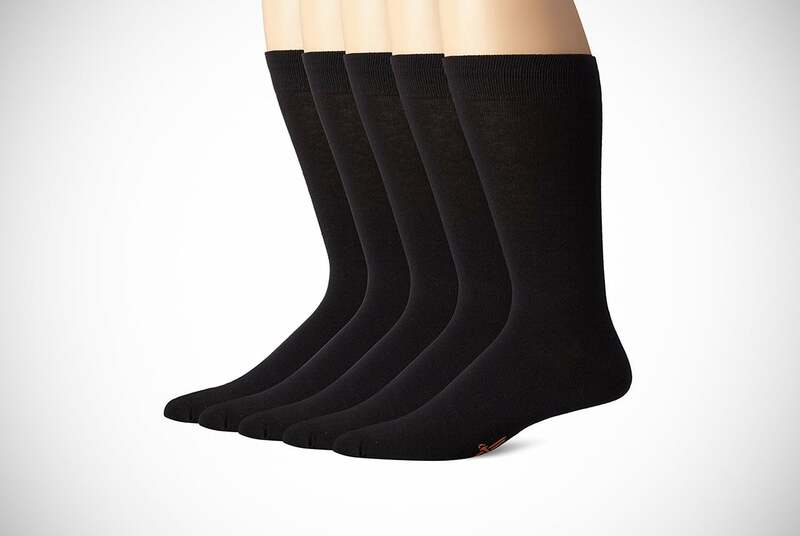 Simply put, if you have not tried on a pair of Bombas socks, you really are missing out – as is a homeless person! Many people say that you can judge a man by his shoes but in our opinion, it is the socks that show off a man’s true personality. 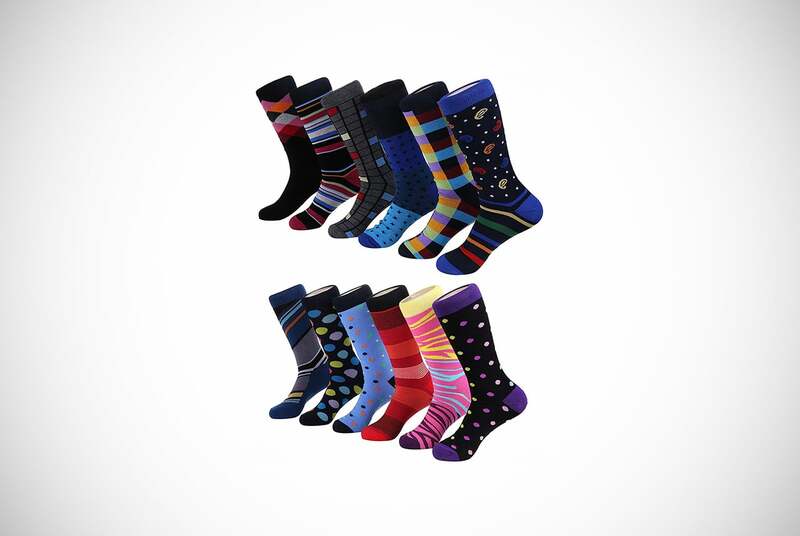 Hidden away under some suit pants, men all over the world will have bright patterns and colors that can be found crazy men’s dress socks such as these Boldfoot Fun Men’s Dress Socks. We say fair to play to those that dare to be bold and bright in a world of dullness and with these well-designed and highly comfortable dress socks, they can shine brighter than ever – even though it might be underneath their pants. These socks are made in the USA are primarily cotton-based and they actually have an exemplary reputation compared to other men’s dress socks on Amazon. 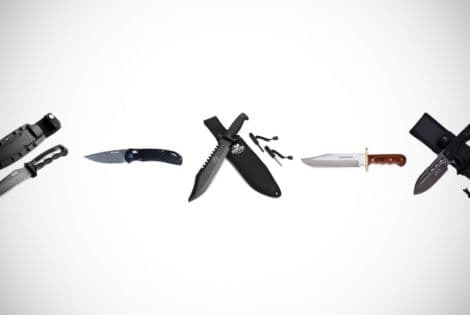 A lot of this will be down to the admirable pledge of 5% from all profits being donated to U.S Veterans in Need and a no questions asked three-month warranty. Designed for the elderly or those that suffer from foot or joint conditions or diabetes, the Yomandamor Bamboo Diabetic Dress Socks are made from a bamboo material that is known for being more breathable, not too tight, and can be stretched more easily over swollen legs and feet. Comfort is the ultimate goal with these socks and we love how they the material deals with any sweat effectively and thus keeping the feet dry. Another feature is that they do not have a binding top which is said to reduce the risk of infection or blistering when worn. In terms of the design, these are essentially neutral colors in the main but they still look good. Still, dress socks are not meant to be seen anyway and when you consider the price you are paying, this is not an issue. On top of that, they claim that they will send you another pair of their socks if you have any complaint at all! The ever-popular Ralph Lauren bear on your socks is certainly going to gain you the right type of attention and with this 2-pack of socks, you will get one pair covered with the bear stitched into the design and another standard Polo sock with the pony embroidered into the design as the other. There are various designs to choose from so make sure that you take a good look right through the range but in general, you are going to be impressed with the quality of the designs. As for the quality, well, this is Ralph Lauren we are talking about so you can expect it to be second to none. 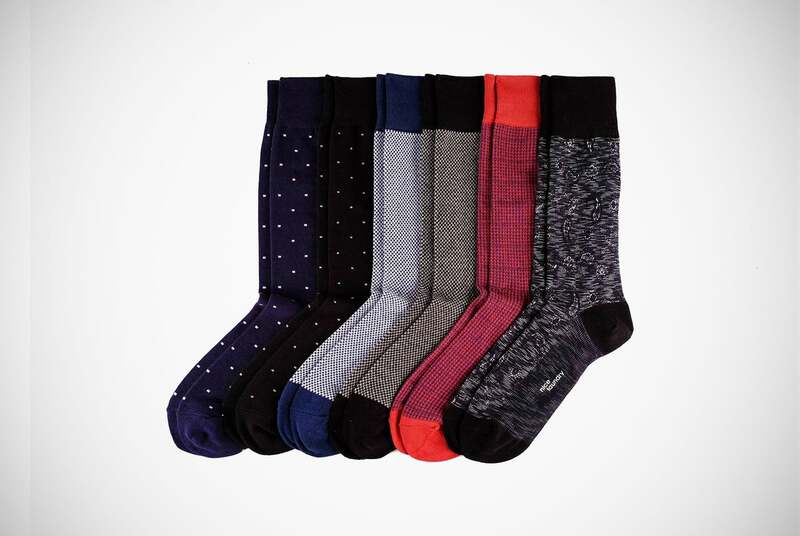 Primarily made from cotton, these men’s designer dress socks certainly do not lack in comfort and fit while judging from the reviews, you instantly know that you are getting socks that will last. 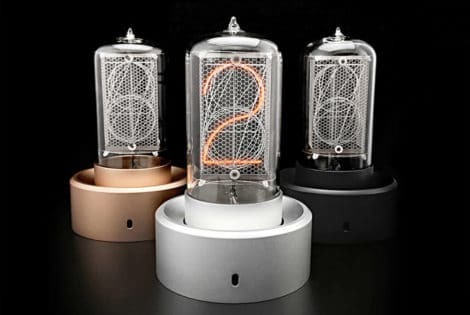 Perhaps a little expensive but if you value quality and design, these are certainly worth the extra. 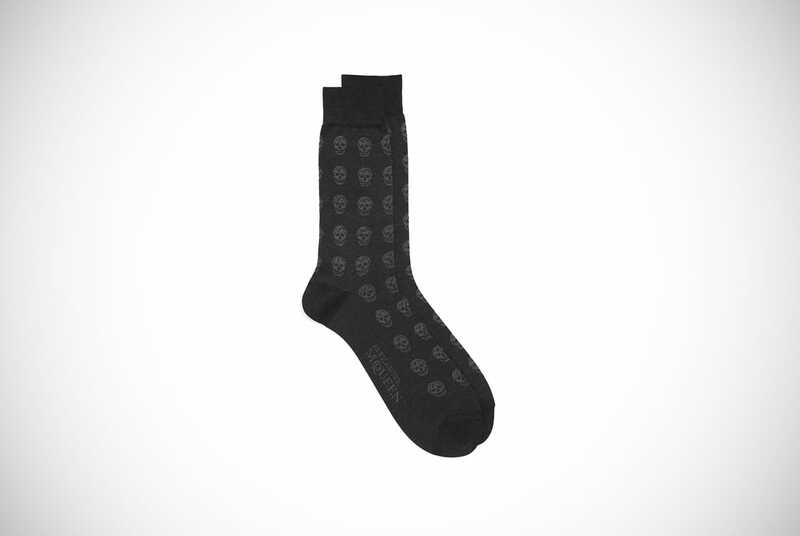 Among the more expensive men’s designer dress socks on our list is certainly these Alexander McQueen Skull Socks. This brand is synonymous with British fashion and while many of you will not be happy paying this sort of money for a single pair of socks, those of you that like to think you’re at the forefront of fashion will certainly contemplate it once you have seen them. Massively stylish, these ultra-dry cotton-knit socks have inherited the gothic signature design of many of the British fashion labels pieces. None of this is at the expense of comfort, however, as the luxury materials have been used alongside quality manufacturing techniques in order to bring a soft, durable, and aesthetically pleasing dress sock to be used at the most formal of occasions. 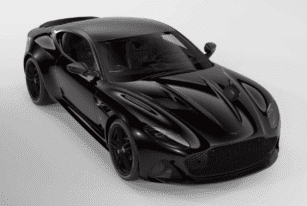 They will not be for everybody of course but if you have the cash to flash and a special occasion to go to – why not? Of course, if you’re not inclined to spend anywhere near that sort of money on dress socks, our list certainly offers up plenty of cheaper options for you to consider. It would be extremely difficult to put together any list of the best men’s dress socks together without including the Richer Poorer Wright Socks on them. Why? Well apart from how great they look and the obviously high-quality workmanship that has gone into each and every pair made, they are about as sustainable a pair of socks that you will find. They have been made using up-cycled yarn knit which uses a dying process that involves no chemical dyes at all. That’s right folks, you can do your bit for the environment by simply choosing this stylish and comfortable pair of socks! The great part is that this manufacturing process does nothing to compromise the style and comfort of these socks. They look and feel just as good as any highly-priced sock on the market right now. Why you can do your bit for the planet by buying them, you’ll also be doing your bit for your wallet too as they do not even cost all that much compared to others on this list. Go check them out as we’re sure you’re going to be very impressed with your purchase. These over the calf Canterbury dress socks are the second product we have listed here from GoldToe and there is a very good reason for this – they absolutely rock! 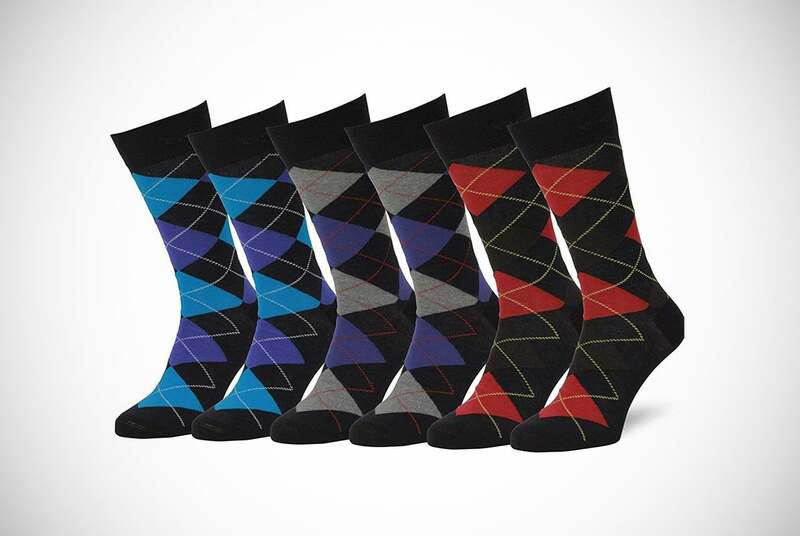 In our opinion, these are some of the best socks on our list when it comes to being a solid all-rounder. They are affordably priced, are made by a company that has been in business for 80 years, and essentially, the socks are of a high quality and extremely comfortable. We know that many of you’ll probably want to avoid over the calf socks as they are a bit long but those of you that like to keep your knees warm is going to love them. Made from hand-selected yarn, these socks are available in three different colors and while the style is a little bland, they do everything else that is asked of them to high standards. 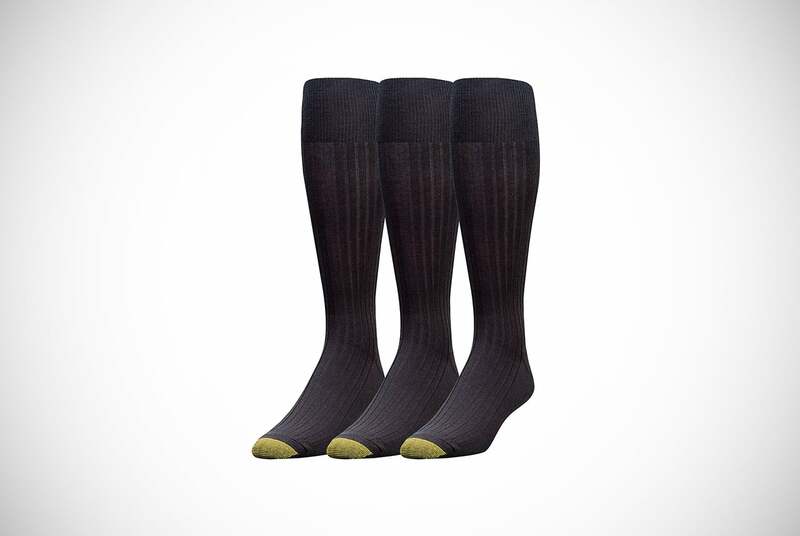 Definitely suited to those of you that work in colder climates, these dress socks will keep your feet, toes, and even half of your leg that little bit warmer during the winter months. Todd Snyder is another brand name that we like when it comes to good quality men’s dress socks simply because you can always guarantee that they are of top quality. 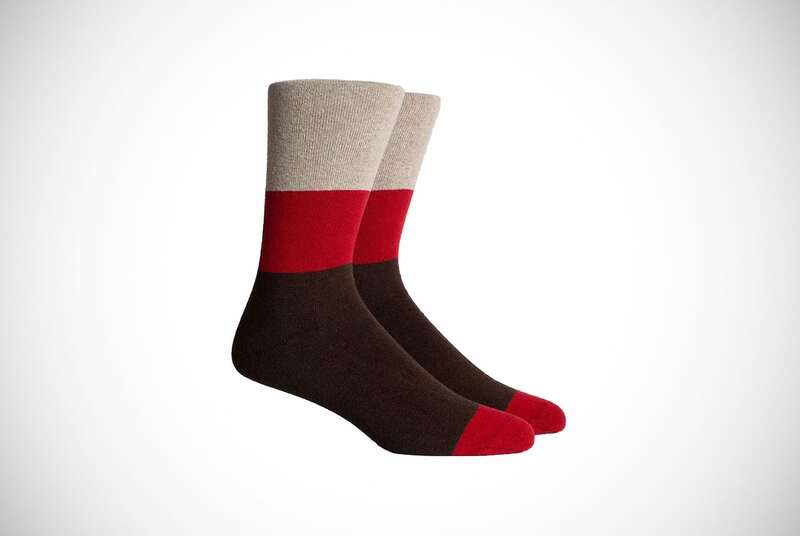 What we particularly like about their Corgi Lightweight Socks is that they are made of a combination of wool and nylon. 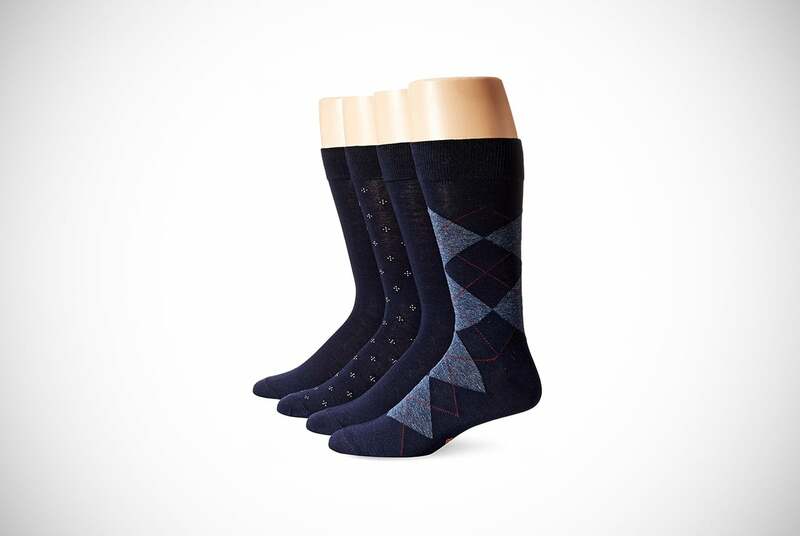 This means that they are ideal for the autumn and winter months when normal dress socks are simply not up to the job. You can say goodbye to frozen toes and hello to crispy warm foot fingers wrapped up nice and snug in some of the most comfortable socks that you’re likely to wear. They look great too and will not cost the earth either. According to reviews they really fit well too, so they are not relying on simply keeping you warm. If you’ve been on the hunt for some toe warming socks that you can wear under your suit, these are definitely some of the first that you should try out. We highly doubt that you are going to see any men’s dress socks as colorful as these from Easton Marlon. 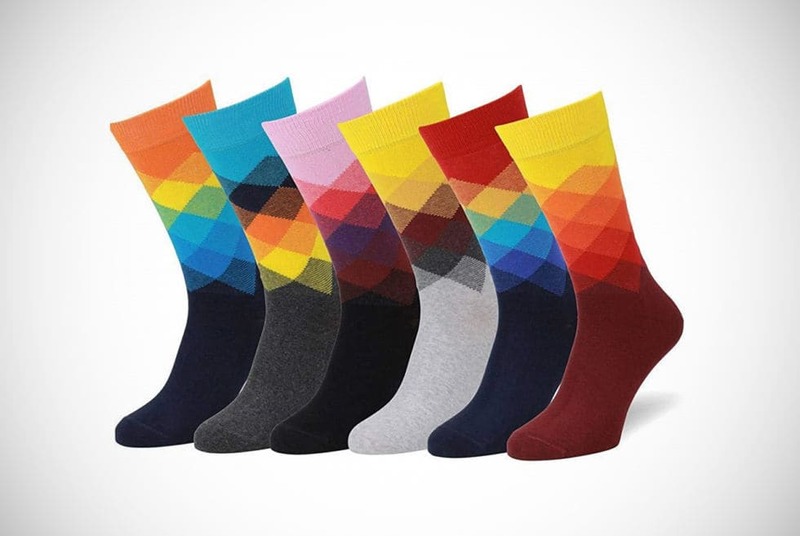 In fact, their title of Colorful Patterned Dress Socks does them a bit of a disservice as they are eye-blindingly colorful at the best of times. Still, we love them for it as it gets a little bit boring wearing the same bland colors to work every day of the week. Design and colors aside, these affordable socks are actually of very good quality. They are made primarily of finely combed cotton which allows them to be incredibly soft to the touch, fit very well and rarely fall down, and will have each been pre-washed before being put up for sale. The latter is so that it prevents any shrinkage when you indeed decide to wash them for the first time. In our opinion, you cannot do better than a pair of these if you’re looking for something with a bit more personality for your next pair of dress socks! Now we can safely imagine that you have not gone through a list of socks quite as extensive as that one right? Well, we do like to put in the hard graft so that your decisions can be that much easier to make. Whether you want men’s black dress socks or the most colorful socks you have ever seen – we’re looking at you Easton Marlowe, we’re pretty confident that you’ll have found something that interests you. We have listed everything from some good quality low budget options right up to the fancy yet expensive high-end fashion labels so if you have not found a pair to your liking we might just give up. Seriously though, having tested these socks utilizing some of the most advanced sock testing methods such as walking around in them, doing a jump here and there, and making hand puppets, you can be sure that our list accurately depicts the very best dress socks that money can buy. 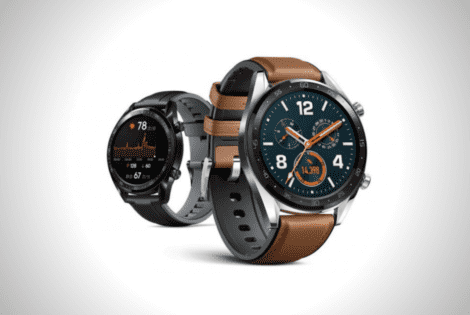 We now have an in-depth view of the Huawei Watch GT and just like Samsung, the manufacturer finally dropped Android Wear to improve battery life.